Pinckneyville Correctional Center is located in Perry County Illinois. It is a medium security institution that can incarcerate 2,681 adult males. The facility itself is made up of the correctional center, and the Du Quoin Impact Incarcerated Program. Inmates are held in five housing units, one of the units is split with segregation inmates. This prison also has a re-entry program which helps prepare inmates for re-introduction into society. Educational and Vocational opportunities at Pinckneyville Correctional Center include earning an adult basic education and GED, learning a variety of construction trades, and culinary arts. General population inmates have visiting everyday from 8:30am-5:30pm, you must arrive by 4:00pm to be admitted to visitation. Inmates are allowed to have up to six visits in a month, only two of the visits can be on weekends or holidays. 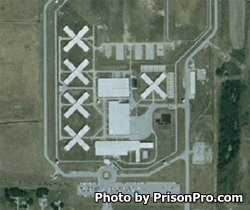 Segregation inmates have visitation everyday from 8:30am-2pm. You must arrive before 1pm to enter into visitation, if you are not processed for visiting by 1pm you will not be allowed to visit.